Georgi Gapon, the son of a peasant, was born in the village of Beliki, near Poltava in Russia on 17th February (O.S. 5th February) 1870. His father was a Cossack and his mother came from peasant stock. In 1893 Gapon took a job as a zemstvo statistician, supplementing his income with money earned working as a private tutor. During this period he met the daughter of a local merchant in a house in which he was giving private lessons. The family objected to a proposed marriage due to Gapon's economic circumstances and he therefore made an appeal to Bishop Ilarion of Poltava, about his situation. The bishop interceded with the family and was granted permission to marry and re-entered the priesthood. 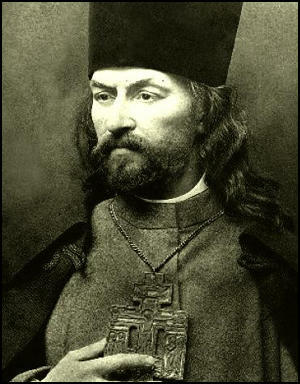 Gapon married in 1896 and he was assigned to a lucrative post in a church in Poltava. His services were well attended and his fast growing reputation for genuine concern for the poor drew people away from other churches. During these years Gapon enjoyed a happily married life, with his wife giving birth to two children. Unfortunately she died after a brief illness in 1898. If you find this article useful, please feel free to share on websites like Reddit. Please visit our support page. You can follow John Simkin on Twitter, Google+ & Facebook or subscribe to our monthly newsletter. By John Simkin (john@spartacus-educational.com) © September 1997 (updated October 2017). To Geneva came Father Gapon, the Orthodox priest who had led the masses in their march to the Winter Palace. There could be no doubt about Gapon's background. He had, with the encouragement and subsidies of the police, organized a workers' union, thus continuing the work of Zubatov. The union had scrupulously excluded Socialists and Jews. For a while the police could congratulate themselves on their enterprise. Capon seemed to be a born leader inculcating in the growing mass of his followers loyalty to the Tsar and faith and obedience to the Holy Orthodox Church. What finally led this obedient tool of the authorities to lead the strike and the procession that triggered off the revolution is still uncertain. His head was obviously turned by his success, his sympathies clearly aroused by the misery of his men. There is every likelihood that, like many who found themselves at once in the revolutionary movement and within the world of the police, he became mentally deranged. The march was to be peaceful, he told the workers; they were going to lay at the feet of the Tsar a humble supplication to relieve the misery of his people and to grant them freedom. Yet he also talked wildly about a revolution if the Tsar was to scorn their pleas. Some argue that Capon had the fantastic vision of the Emperor summoning him to his side to be his minister and to rule Russia. After the catastrophe Gapon hid and then fled the country, leaving behind a manifesto cursing Nicholas II as the hangman of his people and urging a revolution. The strike began on 3 January, and within three days had spread to the Neva shipyards and to the city's bakeries. It was then that the decision was taken, heavily guided by the hand of Gapon, for workers to march to the Winter Palace to beg the Tsar for a constitution. Neither Bolsheviks nor Mensheviks doubted that such a demonstration would take Russia a step closer to a revolution for which its inexperienced and vulnerable proletariat were completely unprepared. The prospect was too terrifying to contemplate, and the party tried helplessly to intervene against Gapon, who they saw as a dangerous provocateur and probably mad. For Kollontai however, and all the other Bolsheviks who marched with the workers that day to the Winter Palace, their alarm was irrelevant. "However tragically this first show of workers' strength ended, it was an inevitable first lesson for them on the road to revolution." She described the hot sun on the snow that Sunday morning, as she joined hundreds of thousands of workers, dressed in their Sunday best and accompanied by elderly relatives and children. They moved off in respectful silence towards the Winter Palace, and stood in the snow for two hours, holding their banners, icons and portraits of the Tsar, waiting for him to appear. A shot was fired, and they stamped their feet. Another, and they laughed that they must be blanks. 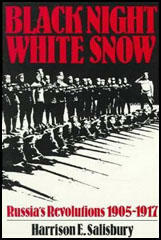 A third, and suddenly the blood was pouring and women and children were lying dead in the snow. And still the people standing next to her kept assuring her it must be a mistake, and that the Tsar would not shoot his unarmed subjects. But by then the gendarmes were galloping into the crowd and the slaughter had started. Something like a thousand workers were killed in the city that day, their blood spilt on the Schlusselburg Highway, the Troitsky Bridge, the Nevsky Prospect, and in Alexandrov Park. By the evening barricades had gone up on the Vasilev Island, and some of the bolder demonstrators raided the Schaff arms factory for guns. But few were able to defend themselves. The people believe in thee. They have made up their minds to gather at the Winter Palace tomorrow at 2 p.m. to lay their needs before thee. Do not fear anything. Stand tomorrow before the party and accept our humblest petition. I, the representative of the workingmen, and my comrades, guarantee the inviolability of thy person. Since yesterday all the factories and workshops in St. Petersburg have been on strike. Troops have been brought in from the surroundings to strengthen the garrison. The workers have conducted themselves calmly hitherto. Their number is estimated at 120,000. At the head of the workers' union some priest - socialist Gapon. Mirsky came in the evening with a report of the measures taken. (5) Extract from the petition that Father Georgi Gapon hoped to present to Nicholas II on 22nd January, 1905. We workers, our children, our wives and our old, helpless parents have come, Lord, to seek truth and protection from you. We are impoverished and oppressed, unbearable work is imposed on us, we are despised and not recognized as human beings. We are treated as slaves, who must bear their fate and be silent. We have suffered terrible things, but we are pressed ever deeper into the abyss of poverty, ignorance and lack of rights. (6) The demands made by Father George Gapon and the Assembly of Factory Workers. (1) An 8-hour day and freedom to organize trade unions. (2) Improved working conditions, free medical aid, higher wages for women workers. (3) Elections to be held for a constituent assembly by universal, equal and secret suffrage. (4) Freedom of speech, press, association and religion. (5) An end to the war with Japan. The procession moved in a compact mass. In front of me were my two bodyguards and a yellow fellow with dark eyes from whose face his hard labouring life had not wiped away the light of youthful gaiety. On the flanks of the crowd ran the children. Some of the women insisted on walking in the first rows, in order, as they said, to protect me with their bodies, and force had to be used to remove them. Suddenly the company of Cossacks galloped rapidly towards us with drawn swords. So, then, it was to be a massacre after all! There was no time for consideration, for making plans, or giving orders. A cry of alarm arose as the Cossacks came down upon us. Our front ranks broke before them, opening to right and left, and down the lane the soldiers drove their horses, striking on both sides. I saw the swords lifted and falling, the men, women and children dropping to the earth like logs of wood, while moans, curses and shouts filled the air. Again we started forward, with solemn resolution and rising rage in our hearts. The Cossacks turned their horses and began to cut their way through the crowd from the rear. They passed through the whole column and galloped back towards the Narva Gate, where - the infantry having opened their ranks and let them through - they again formed lines. We were not more than thirty yards from the soldiers, being separated from them only by the bridge over the Tarakanovskii Canal, which here masks the border of the city, when suddenly, without any warning and without a moment's delay, was heard the dry crack of many rifle-shots. Vasiliev, with whom I was walking hand in hand, suddenly left hold of my arm and sank upon the snow. One of the workmen who carried the banners fell also. Immediately one of the two police officers shouted out "What are you doing? How dare you fire upon the portrait of the Tsar?" 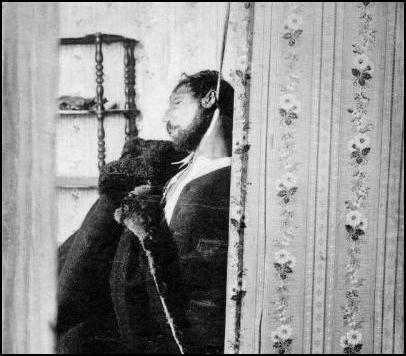 An old man named Lavrentiev, who was carrying the Tsar's portrait, had been one of the first victims. Another old man caught the portrait as it fell from his hands and carried it till he too was killed by the next volley. With his last gasp the old man said "I may die, but I will see the Tsar". Both the blacksmiths who had guarded me were killed, as well as all these who were carrying the ikons and banners; and all these emblems now lay scattered on the snow. The soldiers were actually shooting into the courtyards at the adjoining houses, where the crowd tried to find refuge and, as I learned afterwards, bullets even struck persons inside, through the windows. At last the firing ceased. I stood up with a few others who remained uninjured and looked down at the bodies that lay prostrate around me. Horror crept into my heart. The thought flashed through my mind, And this is the work of our Little Father, the Tsar". Perhaps the anger saved me, for now I knew in very truth that a new chapter was opened in the book of history of our people. Gapon's organization was based on a representation of one person for every thousand workers. He planned a peaceful demonstration in the form of a march to the Winter Palace, carrying church banners and singing religious and national songs. Owing to the idiocy of the military authorities, the crowd was met with rifle fire both at the outskirts of the city and the palace square. The actual victims, as certified by a public commission of lawyers of the Opposition, was approximately 150 killed and 200 wounded; and as all who had taken a leading part in the procession were then expelled from the capital, the news was circulated all over the Empire. (10) Maxim Gorky was one of those who took part in the march to the Winter Palace. That night Gapon took refuge in Gorky's house. Gapon by some miracle remained alive, he is in my house asleep. He now says there is no Tsar anymore, no church, no God. This is a man who has great influence upon the workers of the Putilov works. He has the following of close to 10,000 men who believe in him as a saint. He will lead the workers on the true path. Gapon is a remarkable character. He seems to have believed sincerely in the possibility of reconciling the true interests of the workers with the authorities' good intentions. 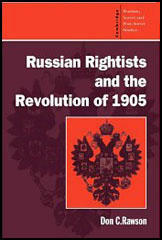 At any rate it was he who organized the movement to petition the Tsar which ended with the massacre of 22 January, 1905. The petition of the workers of St. Petersburg on Nicholas II, drafted by Gapon and endorsed by tens of thousands of proletarians, was both a lugubrious entreaty and a daring set of demands. It asked for an eight-hour day, recognition of workers' rights and a Constitution (including the responsibility of ministers to the people, separation of Church and State, and democratic liberties). 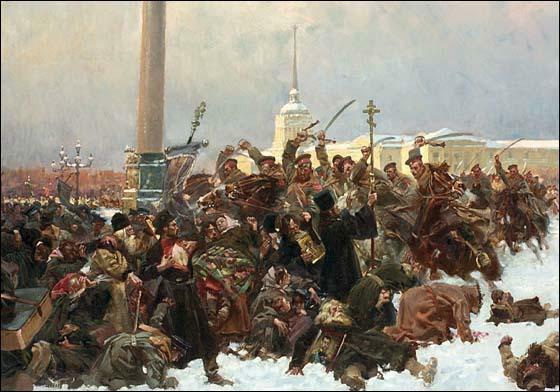 From all quarters of the capital the petitioners, carrying icons and singing hymns, set off marching through the snow, late on a January morning, to see their "little father, the Tsar". At every cross-road armed ambushes were waiting for them. The soldiers machine-gunned them down and the Cossacks charged them. "Treat them like rebels" had been the Emperor's command. The outcome of the day was several hundred dead and as many wounded. This stupid and criminal repression detonated the first Russian revolution. It was this man who now appeared in the West dressed in the aura of a people's leader and mortal foe of the autocracy. George Capon was lionized and fussed over by the Socialist and progressive circles in Germany and France, besieged by pleas for articles, memoirs, and the like. The Russians had every reason to know better: Gapon had certain peasant cunning, but was politically illiterate, and his personal tastes were rather inappropriate for either a revolutionary or a priest: he was unusually fond of gambling and drinking. Yet he became an object of a spirited competition among various branches of the radical movement. At first this priceless asset was seized by the Socialist Revolutionaries. Their agent Rutenberg, with him ever since the St. Petersburg days, was charged with protecting him from the wiles of the Social Democrats and others. But Capon now envisaged himself as the leader of the whole revolutionary movement, and would grant audiences, and preside over conferences. Lenin was not backward in this sordid competition to capture and use the man who was mentally unhinged and had all the mannerisms of a con man. The reason was obvious: Capon had obviously a special gift to capture popular imagination and to lead the masses. He had spoken to, inspired, and led thousands of workers. Lenin had once addressed fifteen Russian workers, he recalled ruefully in 1904. In the wake of the Bloody Sunday he wondered whether the "little father" was despite his shady past a genuine Christian Socialist, a representative of the young and more progressive clergy (Gapon was Lenin's age). Soon he became more affirmative: "Facts have decided in favor of Capon." And in a tribute to Capon's movement, he asks, and this has an eloquence of its own: "Can the Social Democrats seize this spontaneous movement?" But it proved to be impossible to ensnare Capon. He started by playing the role of the leader of all the revolutionary parties. When that proved impractical he announced his conversion to Social Democracy and held a series of conferences with Lenin. To his credit, Plekhanov viewed the whole plot with distaste and skepticism. When the "little father" announced his conversion and repaired to Plekhanov, the still acknowledged pope of the Russian Marxists, the latter told him not to speak nonsense but to read some books and find out what Marxism was about. Some days later he met Gapon on the street. Asked how his education was progressing the "little father" announced his return to the Socialist Revolutionaries; there, he explained, one did not have to read dull books; the Socialist Revolutionaries instructed him in such interesting occupations as shooting, riding, making bombs, and the like. 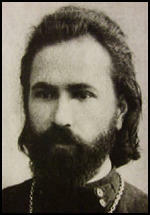 Plekhanov, for once living up to his reputation as a wit, informed Gapon that the perfidious Socialist Revolutionaries were withholding from him their greatest secret. Like most of his kind Gapon was inordinately suspicious and he begged to be let in on the secret. Why, how to fly in a balloon, said Plekhanov with a straight face. The "little father" glared and there was no more question of his accession to the Social Democrats. The circumstances of Gapon's death do not reflect credit on the revolutionary movement. He soon returned to Russia, but it proved impossible for him to resume his previous role. He entered into negotiations with the police. Informed about this by his guardian angel Rutenberg, the Central Committee of the Socialist Revolutionaries passed a sentence of death on the man who had deceived their hopes. Even by the strict revolutionary code there was scant justification for this decision: Gapon had not as yet betrayed any revolutionaries and a public warning rather than an execution was in order. Rutenberg, who had grown fond of this strange man, had to arrange the assassination of his friend. After the deed the Central Committee compounded its unsavory role by issuing a public denial of its complicity in the murder. All in all, the Social Democrats could congratulate themselves on their failure to win Capon to their cause. A party man, no matter what party, Gapon never was, nor was he capable of being one... Even if Gapon genuinely intended to follow a certain line of behavior, he could not do so. He would violate this promise, as he violated every promise he made to himself. At the first opportunity he would find it more tactically advantageous to act in a different manner. If you want, he was a complete and absolute anarchist, incapable of being a regular party member. Every organization he could conceive was only a superstructure of his unlimited authority. He alone had to be in the center of everything, know everything, hold in his hands the strings of the organization and manipulate the people tied to them in whatever manner he saw fit.